___________________ before the exhale, jagged, out through her nose, letting the air flow run over her body as the duvet lies rumpled at the side, a barrier against spreading out, taking more of the mattress than her body quietly requires. __________________________ Sleep, when it comes, an extension. Clothes in dreams take on the qualities of this constant airflow, as if painted onto the space three millimeters above her skin. _______________ The pillow so comfortable it can only be dirt and grass. __________ Moonlight and starlight newly made a sun in slumber. 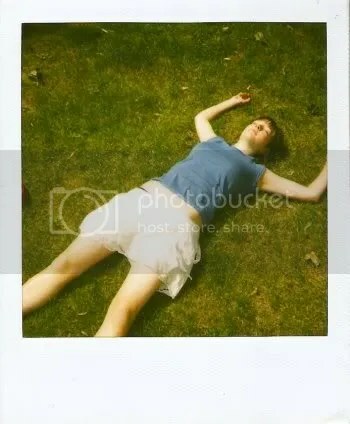 This entry was posted in Matthew Sheret, The Polaroid Press and tagged Bed, Matthew Sheret, The Polaroid Press. Bookmark the permalink.